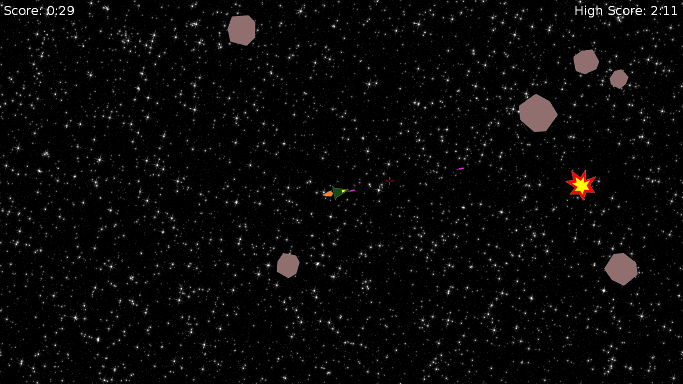 Spacey is a game I made during One Game A Month: May 2013. It's an asteroids clone with an experimental control scheme. When it grows up, Spacey would like to be an exploration and trading game like Freelancer, or really more like Escape Velocity Nova. For now it's a quick shooter that's fun to play 5 or 10 rounds of at a time.